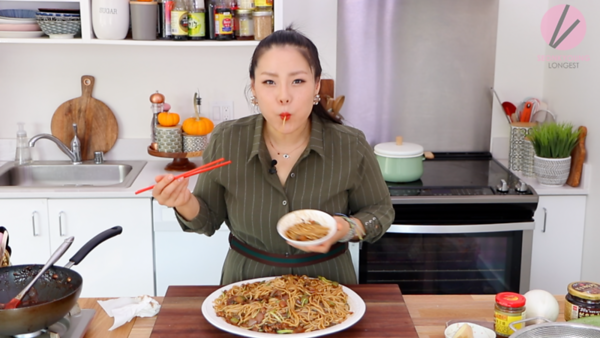 I’ve shared a couple of Jjajangmyun recipes with you, but today’s one is very special! 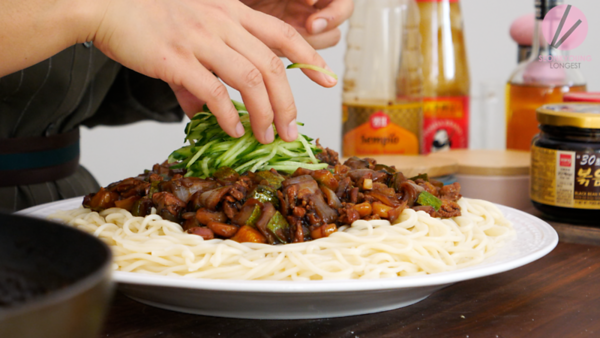 It’s GIANT and honestly, the best jjajangmyun I’ve ever made!!! Quite old style, yet really the BEST!!! 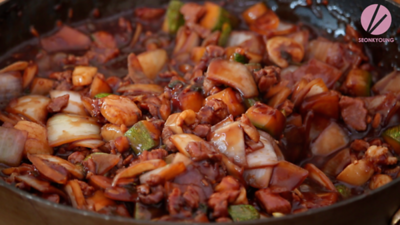 This jjajangmyun recipe including seafood but you can skip it if you prefer. First, let’s blench our frozen seafood. Obviously, if you can use fresh seafood, that will be the best but frozen works fine as well! 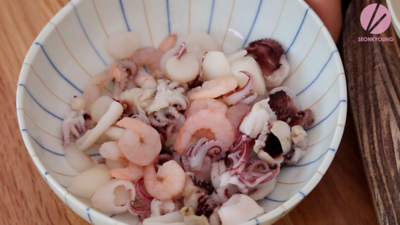 Blench the seafood in boiling water for 15 to 30 second then drain and rice under cold water. Drain completely and set aside. 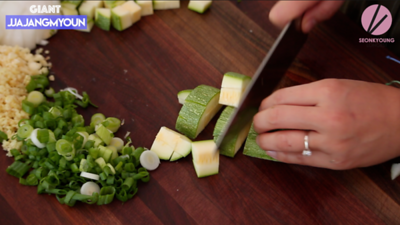 Next, cut all the veggies! When we start cooking, it will be FAST! 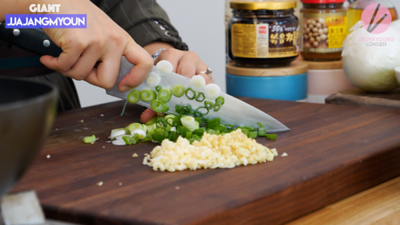 Chopp garlic, ginger and green onions. Large cube onion and zucchini. 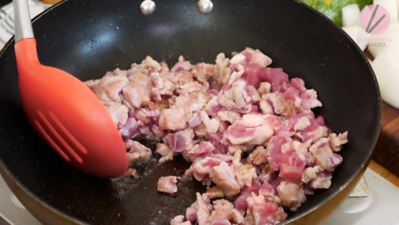 I also small cubed my pork shoulder! 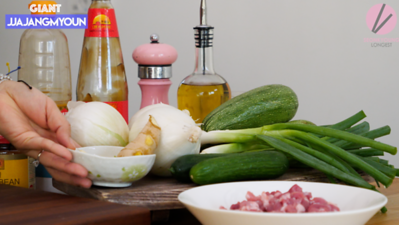 All the ingredients are ready to rock and roll, let’s start cooking! 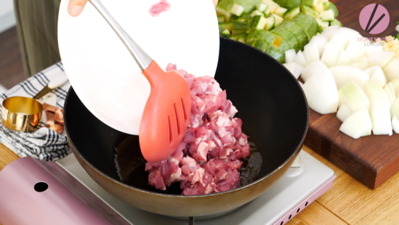 Heat a large wok or a skillet over high heat and add cooking oil. Swirl to coat. 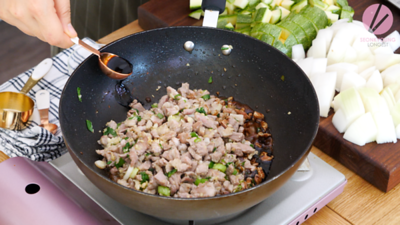 When the oil it hot, add pork and stir fry for 3 to 4 minutes or until the pork is cooked 3/4 way and the edges are brown. 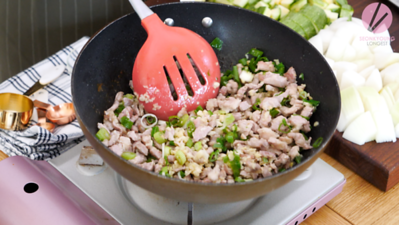 Add chopped garlic, ginger and green onion. 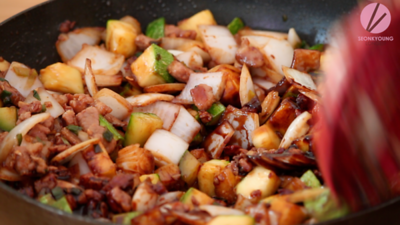 Stir fry for 1 to 2 minutes so the beautiful aroma will melt in to the oil. Splash soy sauce around the edge of the wok, not direct into the pork. 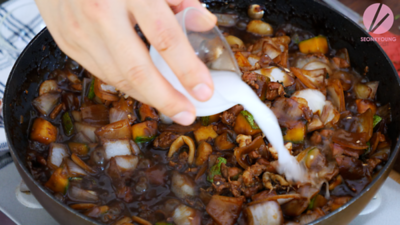 This way the soy sauce will slightly burn and it will create amazing umami flavor. 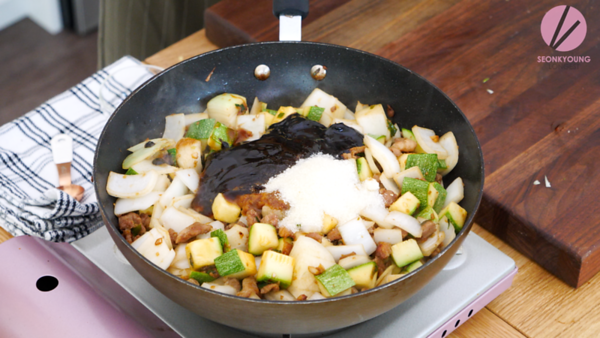 Add cubed onion and zucchini. 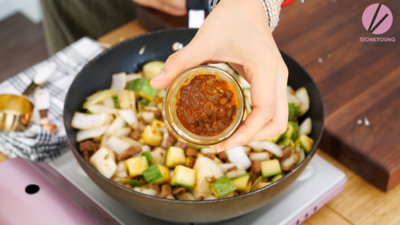 Stir fry for 1 minute to coat the vegetables evenly with the deliciousness we created! 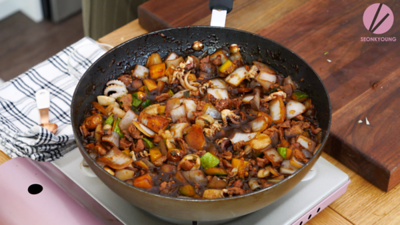 Add yellow bean paste, black bean paste, oyster sauce, sugar and prepared seafood then stir fry away until everything is combined. The sauce should be already saucy texture from the moisture form the vegetables. 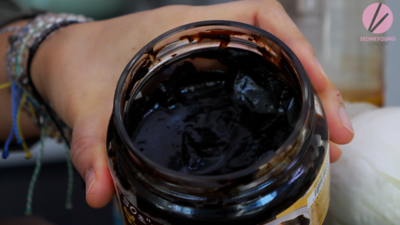 You can find Chinese yellow bean paste and black bean paste (for this recipe you will need roasted one!) 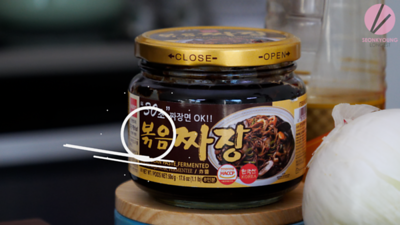 easily in Asian/Korean grocery store and online! Tap the picture above to check it out! 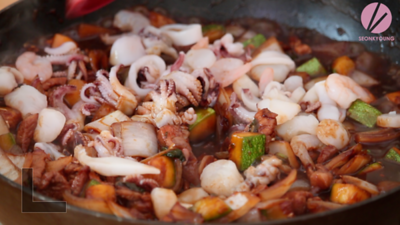 When the sauce starts boiling, add chicken stock and prepared seafood then bring back to hard boil and let it keep boil for 2 to 3 minutes. 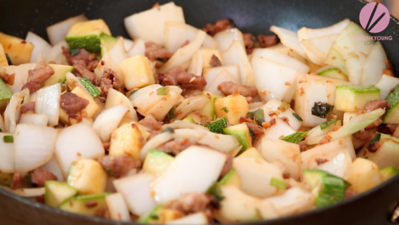 Add cornstarch and water mixture into wok and stir immediately. Turn off the heat and keep it warm. 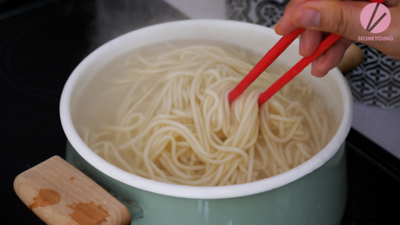 Meanwhile, boil a pot of water to cook noodles. 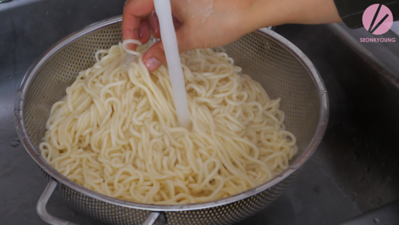 Cook the noodles by following the directions of the package you are using then rinse under warm water and drain. 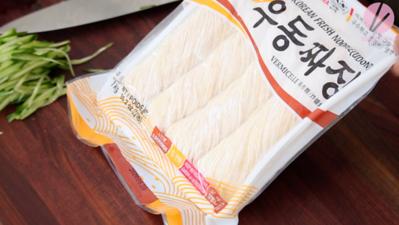 If you can find fresh noodles from Asian/Korean grocery store that would be great but don’t worry- you can also use dried udon noodles, that works amazing too! 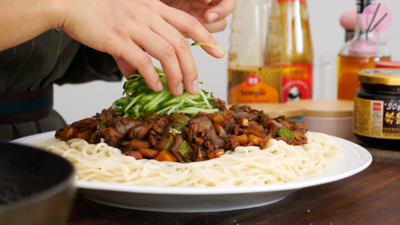 I’ve tried dried udon noodles on my vegan jjajangmyun recipe, it was perfect! 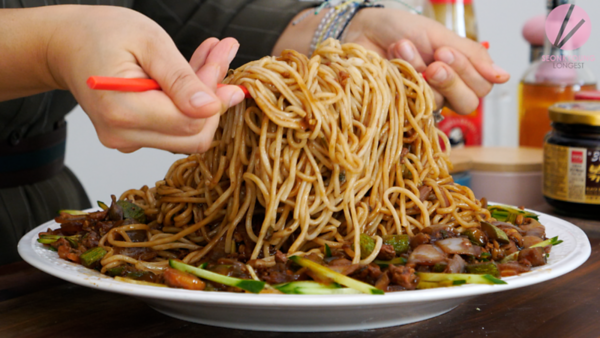 Place the noodles on a serving plate and pour the sauce all over on top of the noodles. 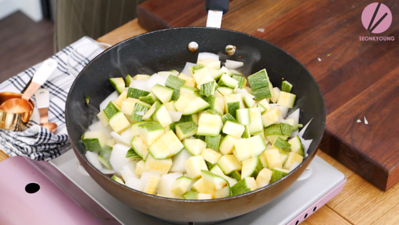 Garnish with julienne cucumber and it’s ready to serve! Make sure to mix everything together before dig in!!! 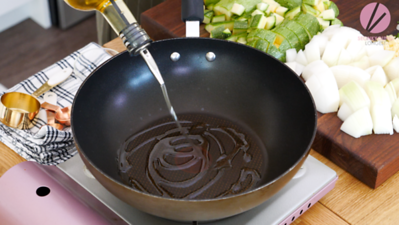 Heat a large wok or a skillet over high heat and add cooking oil. Swirl to coat. 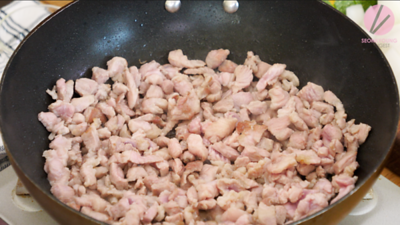 When the oil it hot, add pork and stir fry for 3 to 4 minutes or until the pork is cooked ¾ way and the edges are brown. 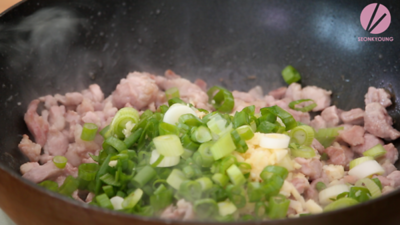 Add chopped garlic, ginger and green onion. 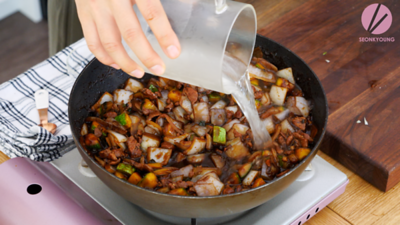 Stir fry for 1 to 2 minutes so the beautiful aroma will melt in to the oil. Splash soy sauce around the edge of the wok, not direct into the pork. 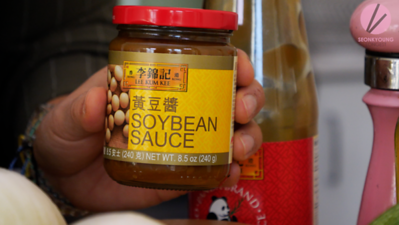 This way the soy sauce will slightly burn and it will create amazing umami flavor. 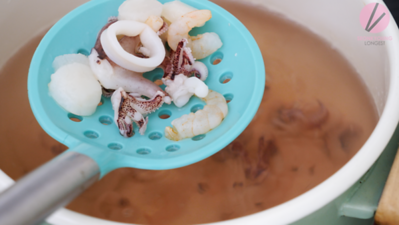 When the sauce starts boiling, add chicken stock and prepared seafood then bring back to hard boil and let it keep boil for 2 to 3 minutes. 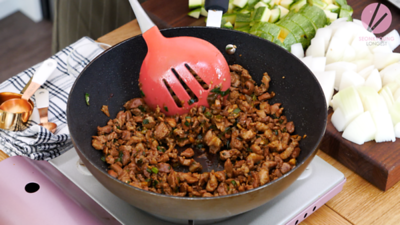 Add cornstarch and water mixture into wok and stir immediately. Turn off the heat and keep it warm. 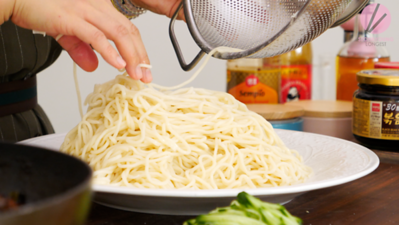 Place the noodles on a serving plate and pour the sauce all over on top of the noodles. 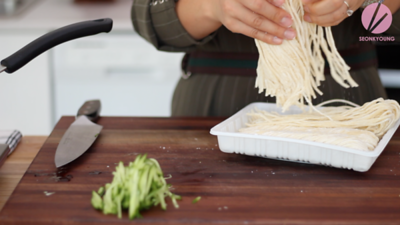 Garnish with julienne cucumber and it’s ready to serve! Make sure to mix everything together before dig in!! Enjoy!